– In a small mixing bowl combine 1 1/2 tablespoons of mirin and 1 tablespoon sesame oil. – Wash and dry eggplants. Cut in half and score at a diagonal. 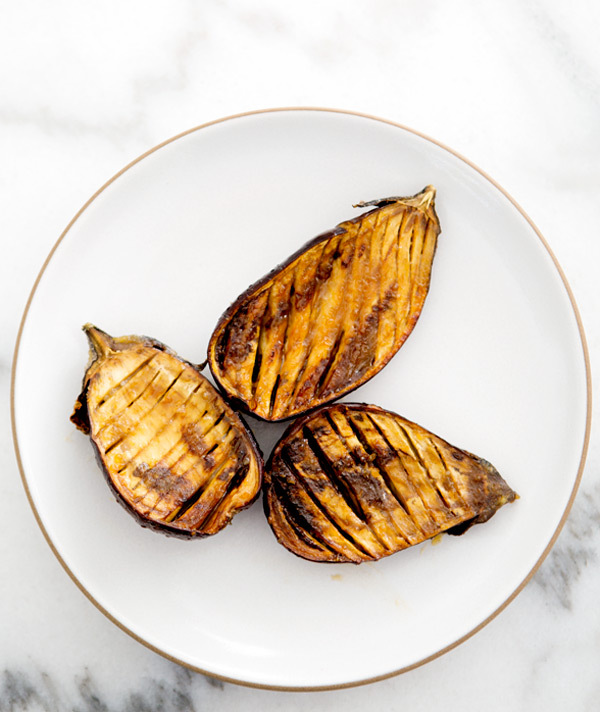 – Brush eggplants with sesame/mirin mixture and roast for20 minutes. – In a small mixing bowl combine 3/4 cup mirin, miso, coconut sugar and sea salt. Brush eggplants with mixture and return to oven. 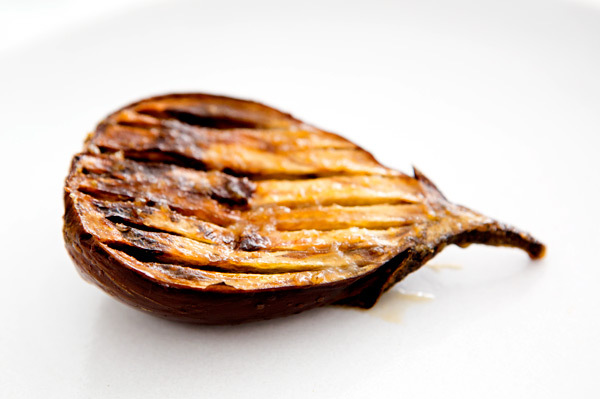 – Roast an additional 20 minutes or until eggplants are soft, brushing with any leftover miso mixture halfway through. i honestly can say i have never had this, but it looks and sounds delicious! 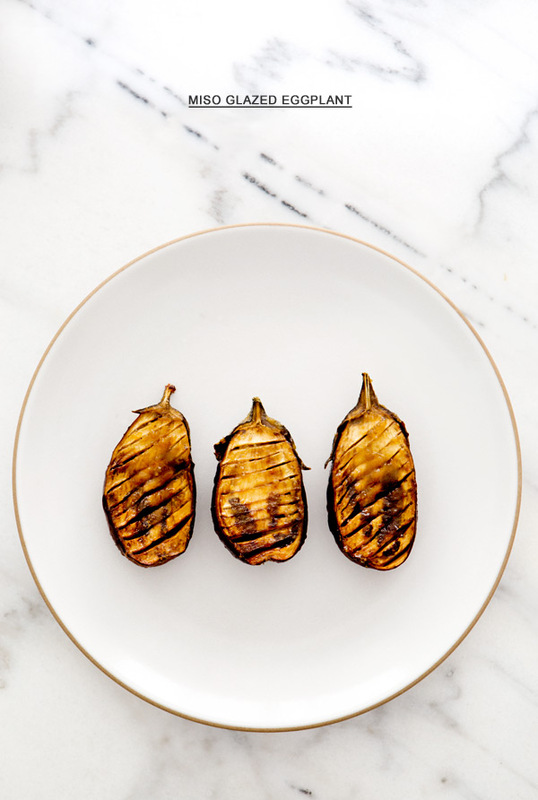 I love anything eggplant and can't wait to try this! Thanks for the inspiration! Where in the world did you get those plates? And where did you get the gold flatware that you have? I'm sure someone has already asked, but I'm asking again. Can't wait to make these! A friend of mine just found your site and passed it on immediately knowing I would love it, and I do! Wondering what is the make of the dinner plate shown with the baby eggplants? Adore them. yessssss so good! if my oven ever gets fixed i absolutely have to make these! It's been wayyyyy to long since I've made miso glazed eggplant. It truly is one of my favorite side dishes. Great recipe! There's a Persian restaurant in SF that serves a dish with eggplant, miso, pomegranate and yogurt. I can definitely attest the combo of miso and eggplant is divine!! I tell EVERYONE about your website-so amazing, and the images are just as stunning. I just had eggplant tonight, but I'm totally going to try it this way next! thanks! !